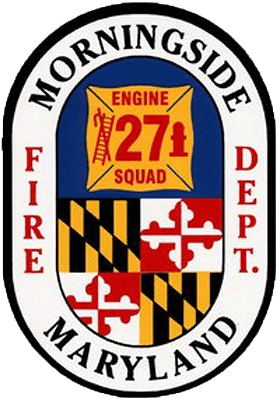 Last night, Company 27’s volunteers turned out 14 times in 12 hours. The runs included a building fire, a tragic fatal vehicle accident, a fatal shooting, multiple other motor vehicle accidents, and medical emergencies. Here the Rescue Squad is seen responding to another run after cleaning up from the horrific crash on Suitland Parkway. Last year, MVFD had over 7,600 runs.